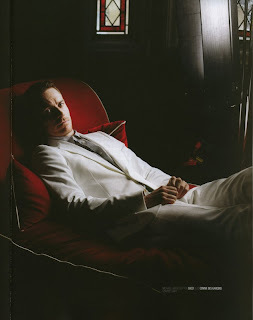 Fassinating Fassbender - A Michael Fassbender Fan Blog: A SMOKIN' Hot Michael in Crash magazine! A SMOKIN' Hot Michael in Crash magazine! Thank you to MFO poster Sonja for these beautiful scans from Crash. Just so hot. A Very GQ vibe to these photos. There he goes with that dang cigarette again. But you know what, I'll deal with it. Cuz he looks SMOKIN'!!!! The first thing that attracts me to Michael's handsome face is his eyes. You too? Then his cheekbones, then that mouth. I love his smile! I wanted to be a dentist at one time. I envy his dentist. 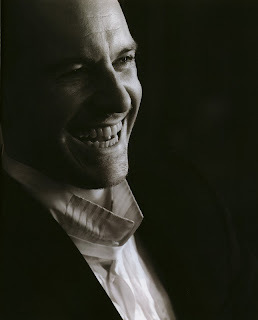 A huge thank you to MFO poster Sonja for scanning the rest of the images from Michael’s Crash magazine cover interview. It will be at least another month before I get my hands on this magazine, so for the time being, I will salivate to these cyber images. They are so hot just looking at them online that I better wear gloves when I actually find this damn magazine. LOL! If Michael couldn’t act his way out of a paper bag, he totally could have been a male model. A few weeks back I mentioned that on New Year’s Eve that me and my newly convert fassy friend Laurie were going to watch Angel together. I took the DVD over to her house, and we were all set to watch it, but her DVD player did not accept the DVD disc? What the hellz? I saved my Angel viewing virginity for that night to watch it with Laurie. So anyhoo, we’ll watch it next week as I can play it on my computer after I tested it. I had this DVD for quite a while, but embarrassingly, I forgot I had it because frankly, 2008 sucked personally and there were more important things on my mind. So, I’m excited to watch it very soon. Thanks to Lucinda for entering the Sun BAFTA contest. I got my fingers crossed for you girl! And again, thanks for your suggestion; I will take the high road.